Since beginning the moving process, one of the things I’ll miss the most is having a large (by New York City standards) kitchen. Therefore, every recipe I’ve had a craving for has been pushed to this week. The uncertainty of roommates providing equipment or when I’ll finally be able to ship my own means Country Quiche is in order. If you haven’t seen the first two episodes of “Trisha’s Country Kitchen” on the Food Network I highly recommend seeking them out. Not only are the recipes sinfully delicious (if Paula Deen owns butter, Yearwood owns cheese), Trisha is personable and a joy to watch. This recipe is from her second cookbook Home Cooking with Trisha Yearwood. 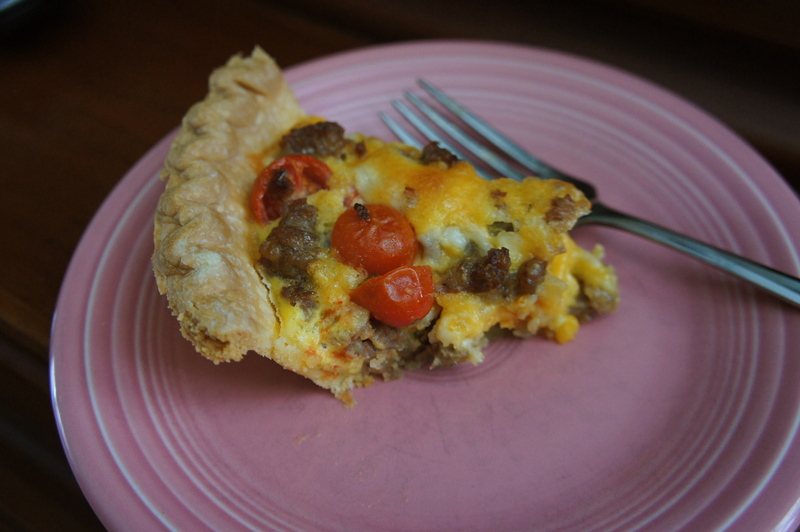 I’m a big fan of quiche and this one is quite possibly my favorite. It’s hearty, cheesy, and sweet– only the three greatest adjectives ever. Step two of moving to NYC: Cook your way to closure. Preheat oven to 350 degrees. Set the frozen pie shells out to thaw while preparing the quiche. Salt the sliced tomatoes. In a large skillet, cook the sausage until done, then drain off the excess fat and set aside. Whisk the eggs, baking powder, and tomatoes together. 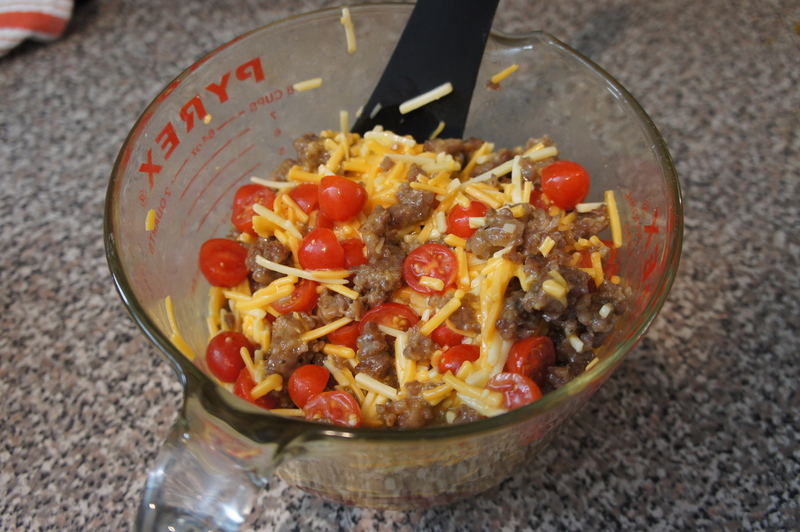 Add the cheese and then the cooked sausage to the egg mixture and stir together. Add salt and pepper to taste. Divide the mixture in half and pour into the unbaked pie shells. Bake for 30 minutes, or until the filling is set. Omg!! So great!!! Eating it three times in one week is not a crime!! !